Much has been claimed recently regarding the usage of fetal tissue for research. This brief overview provides the facts on the history of fetal tissue research and transplants. Updated (11/30/2016): Includes more recent information under Vaccine Development and Basic Biology Research sections. Human fetal tissue research has gone on for decades. However, the success of fetal tissue transplants has been meager at best, and ethically-derived alternatives exist and are coming to dominate the field. Fetal Tissue Transplantation: The first recorded fetal tissue transplants were in 1921 in the UK, in a failed attempt to treat Addison’s disease, and in 1928 in Italy, in a failed attempt to treat cancer. The first fetal tissue transplant in the U.S. was in 1939, using fetal pancreatic tissue in an attempt to treat diabetes. That attempt also failed, as did subsequent similar fetal tissue transplants in 1959. Between 1970 and 1991 approximately 1,500 people received fetal pancreatic tissue transplants in attempts to treat diabetes, mostly in the former Soviet Union and the People’s Republic of China. Up to 24 fetuses were used per transplant, but less than 2% of patients responded. Today, patients take insulin shots and pharmaceuticals to control their diabetes, and adult stem cell transplants have shown success at ameliorating the condition. Between 1960 and 1990, numerous attempts were made to transplant fetal liver and thymus for various conditions. According to one review, “the clinical results and patient survival rates were largely dismal.” Conditions such as anemias and immunodeficiencies, for which fetal tissue attempts largely failed, are now treated routinely with adult stem cells, including umbilical cord blood stem cells, even while the patient is still in the womb. Note that fetal tissue has been taken in a number of cases from fetuses at developmental ages where fetal surgery is now used to correct problems and save lives, and at stages where science now demonstrates that the unborn fetus can feel pain. Between 1988 and 1994, roughly 140 Parkinson’s disease patients received fetal tissue (up to six fetuses per patient), with varying results. Subsequent reports showed that severe problems developed from fetal tissue transplants. One patient who received transplant of fetal brain tissue (from a total of 3 fetuses) died subsequently, and at autopsy was found to have various non-brain tissues (e.g, skin-like tissue, hair, cartilage, and other tissue nodules) growing in his brain. A second large, controlled study published in 2003 showed similar results (funded by NIH), with over half of the patients developing potentially disabling tremors caused by the fetal brain tissue transplants. The results of these two large studies led to a moratorium on fetal tissue transplants for Parkinson’s. 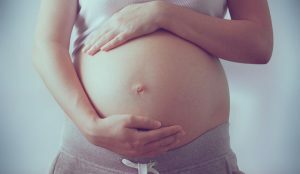 Long-term follow-up of a few of the patients in these large studies showed that even in fetal tissue that grew in patients’ brains, the grafted tissue took on signs of the disease and were not effective. In contrast, adult stem cells have shown initial success in alleviating Parkinson’s symptoms. A recent 2009 report emphasizes the instability and danger of fetal tissue transplants. A patient with Huntington’s disease was recruited into a study (funded by NIH) in which she had fetal brain cells injected into her brain. She did not improve, and instead developed in her brain a growing mass of tissue, euphemistically termed “graft overgrowth” by the researchers. Disastrous results for patients are seen not only with fetal tissue but also with fetal stem cells. In a recent example, a young boy developed tumors on his spine, resulting from fetal stem cells injected into his body. In contrast, a recent review found that as of December 2012, over one million patients had been treated with adult stem cells. The review only addressed hematopoietic (blood-forming) adult stem cells, not other adult stem cell types and transplants, so this is a significant underestimate of the number of patients who have benefitted from adult stem cell therapies. Vaccine Development: The earliest attempts at growing viruses sometimes used cultures of mixed human fetal tissue, but not individual cultured cells. For example, the proof of principle experiment showing that polio virus could be grown in non-nervous tissue culture in 1949, used human fetal tissue. But it is not the case that the 1954 Nobel Prize given to Enders et al. was for production of polio vaccine, nor even for growth of enough virus used to produce the polio vaccine. Instead, the original Salk and Sabin polio vaccines were both produced using laboratory-cultured monkey tissue. Later, poliovirus was produced in human fetal cell lines (WI-38, 1961, fetal female lung; MRC-5, 1966, fetal male lung), but also in HeLa cells, a human cancer cell line that is not made from fetal tissue. Most modern manufacturers of polio vaccine now use other specific cell types including monkey cells; most do not use any human fetal cells, and none use freshly aborted fetal tissue. No current vaccines are made using fresh aborted fetal tissue. A clear example of the lack of necessity for further fetal tissue is development of the new vaccine — rVSV-ZEBOV — against Ebola virus. The successful results of the field trial, published July 31, 2015, were very welcome in the fight against this deadly disease. This successful Ebola vaccine was not developed using fetal tissue or fetal cell lines, but rather with Vero, a monkey cell line, demonstrating again that medical science has moved beyond any need for fetal tissue in useful medical research. Another clear example of the lack of need for freshly aborted fetal tissue in virus and vaccine studies are the recent reports on the susceptibility of developing human brain cells to Zika virus. Scientists from Florida State, Emory, and Johns Hopkins developed a successful model system to show that the Zika virus can infect and damage some developing brain cells. The established experimental model, which the authors of the paper note can now be used for further investigations of developing brain as well as screening therapeutic compounds, was not developed using fetal tissue. The successful system uses human induced pluripotent stem cells (iPS cells), which are ethically created from skin or other normal cell types, earning the 2012 Nobel Prize for Dr. Shinya Yamanaka, their originator. Another recent study by a Brazilian group confirms the susceptibility of developing human brain cells to Zika virus infection, with potential damage to infected brain cells. Again, the successful study did not use human fetal tissue, but rather human iPS cells. Modern vaccine development does not rely on fetal tissue or human fetal cell lines. Another example of this is the recent success of a field test of a vaccine against Dengue virus, a close relative of Zika. The vaccine provided 100% protection, but was developed using monkey cells and a mosquito cell line. Basic Biology Research: Broad, undefined claims continue to be made that fetal tissue and fetal cells are needed to study basic biology, development, disease production, or other broad study areas. However, this still relies on antiquated science and cell cultures. Current, progressive alternatives such as induced pluripotent stem (iPS) cells provide an unlimited source of cells, which can be produced from tissue of any human being, without harm to the individual donor, and with the ability to form virtually any cell type for study and modeling, or potential clinical application. A November 2015 published report convincingly documents that iPS cells are molecularly and functionally equivalent. Stem cells from umbilical cord blood also show significant potential not only as laboratory models, but also have unique advantages for clinical applications and are already treating patients for numerous conditions. Further, in terms of modeling human tissues and cells, including during development, scientists have now developed methods to form 3-dimensional cellular structures that faithfully form tissue structure and function as that from normal organs. Termed “organoids”, the constructs provide superior models to study tissue organization and disease, as well as starting points for potential transplantation. One example is aggregation of hepatocytes into “mini-livers”, actually just 3-D monocultures in suspension that are small enough to survive by diffusion of nutrients. Such mini-livers can potentially serve as laboratory models for liver function, as bioartificial livers for toxicity testing, and may even be useful for transplantation for liver regeneration. The laboratory of McGuckin and Forraz has shown that hepatocytes can be produced in culture from umbilical cord blood stem cells, a readily-available source of multipotent stem cells, and have recently reviewed the field of hepatocyte production and liver repair. Several recent studies have used organoids to observe normal brain development as well as model aspects of abnormal development. The organoids have also provided excellent models to investigate Zika virus infection of the developing human brain, all without resorting to destruction of human life to obtain cells or samples of fetal brain tissue. Lack of need for fetal tissue to study Zika virus was also shown by Shan et al., who developed an infectious cDNA clone of the Zika virus. The virus was originally isolated from a patient and cultured in monkey (Vero) cells. After sequencing the DNA, a template was created and cDNA produced, which could be transferred and grown in Vero cells as well as mosquito cell line C6/36. Original fetal cell cultivations 1961, original poliovirus growth 1962 in WI-1, standardized in WI-38; Hayflick L, Moorhead PS, The serial cultivation of human diploid cell strains, Experimental Cell Research 25, 585, 1961; Hayflick L et al., Preparation of poliovirus vaccines in a human fetal diploid cell strain, Am. J. Hyg. 75, 240, 1962; Hayflick L, The limited in vitro lifetime of human diploid cell strains, Exp. Cell Res. 37, 614, 1965. Kirkpatrick BD et al., The live attenuated dengue vaccine TV003 elicits complete protection against dengue in a human challenge model, Sci. Transl. Med. 8, 330ra36, 2016. See e.g. Nathalie Broutet et al., “Zika Virus as a Cause of Neurologic Disorders,” New England Journal of Medicine 374.16 (April 21, 2016): 1506–1509, doi: 10.1056/NEJMp1602708; Patricia P. Garcez et al., “Zika Virus Impairs Growth in Human Neurospheres and Brain Organoids,” Science 352.6287 (May 13, 2016): 816–818, 10.1126/science.aaf6116; Hengli Tang et al., “Zika Virus Infects Human Cortical Neural Progenitors and Attenuates Their Growth,” Cell Stem Cell 18.5 (May 5, 2016): 587–590, doi: 10.1016/j.stem.2016.02.016; Xuyu Qian et al., “Brain-Region-Specific Organoids Using Mini-bioreactors for Modeling ZIKV Exposure,” Cell, e-pub April 21, 2016, doi: 10.1016/j.cell.2016.04.032.